More and more small to mid-size businesses (SMB's) are seeing the value of moving to the cloud. 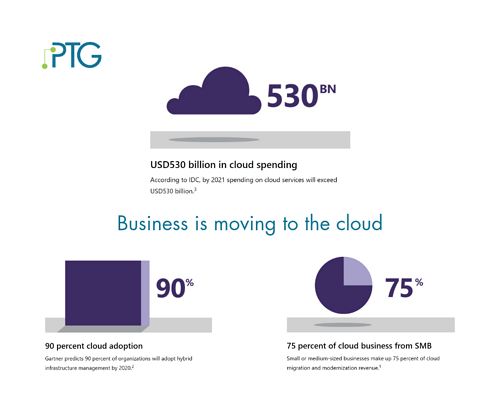 Spending on cloud services will exceed 530 billion by 2021 (IDC). 90% of businesses will soon have some form of cloud adoption (Gartner). 75% of cloud migration business is now from SMB's (Microsoft). There must be some compelling reasons so many SMB's are making the switch to cloud hosting. It's not only the cost of purchasing and maintaining on-prem servers and databases that goes away with cloud adoption, IT staffing costs are reduced as well. Instead of finding and employing IT professionals in-house, a cloud-based business can relieve the burden of carrying these payrolls and outsource their IT needs. Instead of having one or two people on-site who may (or may not) know what they're doing, a business now has a dedicated team of certified pros on call to manage their cloud data for them. While the world's biggest cloud providers have endured some public outages (according to CloudHarmony statistics an average of 318 minutes total for 2017) the massive data centers and infrastructure built around providing cloud services has meant that even with more and more users being added every day, cloud service providers are outage-free 99.9% of the time. And when an outage does occur, the response time to fix the problem and the measures taken to ensure data isn't lost, far exceeds anything that can happen in a limited on-prem environment. Cloud-computing has also made software updates a seamless activity. When an app or program is hosted in the cloud, updates can be ordered with one-click - or even scheduled to happen automatically without any new installations or software keys required. Every smart business owner wants to design their business to scale efficiently. As business networks and data loads increase, so does the cost of maintaining all of those devices and data. 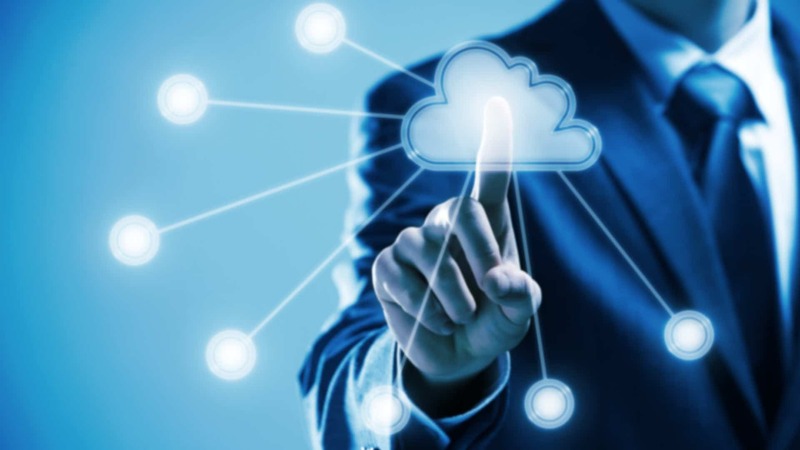 Cloud solutions can be optimized and resized to fit an expanding business in seconds. A cloud solution can also ensure that a business is never paying for storage space or processing power they don't need. With more communication hubs like Microsoft Teams being built on a cloud platform, the opportunity for a small to mid-size business to be able to hire the best workers from anywhere in the world just got easier. The cloud makes sharing, compliance, and all forms of communication more available and affordable than ever before. Professionals can collaborate on documents and even give live presentations together without ever meeting face-to-face. The results of these efforts can be backed up to a cloud drive where access an permissions can be easilly controlled. With access to the cloud, your business can virtually operate at full capacity from anywhere. For more information on how to acquire the perfect cloud solution for your small to mid-size business, contact us today. Microsoft 365 Business Can Make Companies More Productive and Connected. Is It The Right Choice for Your Business?